The adjudication panels for the 2010 Drum Corps International World Championships were announced Wednesday evening during a special welcome reception for judges who will preside over the 80 corps performances over the next three days of championship competition. As the capstone series of events of the annual Drum Corps International Tour, the opportunity to judge at the World Championships carries with it a high level of respect and prestige for the chosen individuals. 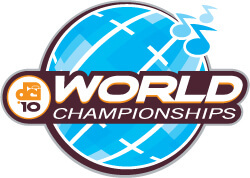 Learn more about the 2010 DCI World Championships.